There are so many things that are competing with God in this world now. It is so important that my grand kids learn about God and all of His awesomeness. Owelegories gives me the opportunity to share this with them in a fun way that is engaging and fun! Kids want to learn, they want to soak up any and all information that we give for them, and more often than not they are more than willing to soak up the bad things too. If we are not giving them exciting things that share God’s word they will fill their little heads and hearts with whatever is out there. Owlegories gives kids the interactive digital things they want, while teaching kids about God though all the amazing things found in nature and revealed in God’s word! I have met quite a few parents who leave it to chance that their kids are getting the message without giving them tools and fun times to learn about God, and the Bible in ways they approve of. Owlegories is a fantastic way to keep them engaged and learning. Enter below to win your copy of this great Owlegories Volume 3! Owlegories Vol. 3 – The Fire, The Duck, The Seasons. 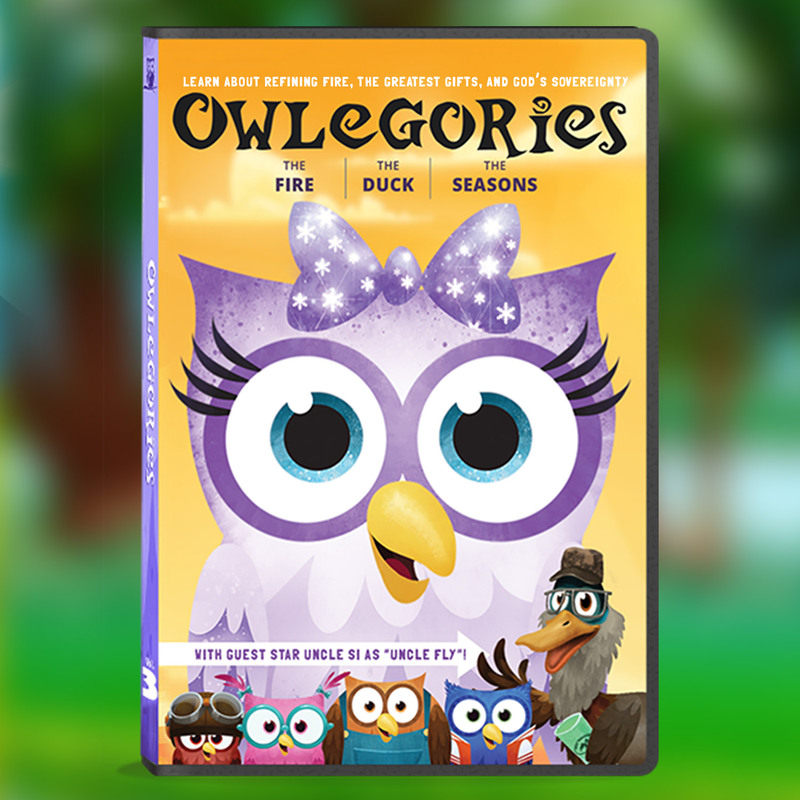 Owlegories follows a group of student owls as they travel on adventures learning about nature, faith, and God. Each lesson focuses on an element of nature that helps teach children about the nature of God and the truths found in His Word. In Owlegories Vol. 3, families learn about the refining fire, the greatest gift, and God’s sovereignty!